What Is A Chapel Designer? What is a Chapel Designer? We get asked this question a lot! In a nutshell, a Chapel Designer is a member of an international collective of wedding and event floral designers called The Chapel Designers. Under the direction of founder Holly Heider Chapple, the organization not only educates, supports, and mentors creatives, but also encourages individual designers to be his or her most authentic self. Learning heart. Listening to my heart. Designing from it. Sisters Dawn Clark and Mary Coombs exemplify Holly Chapple's vision for the Chapel Designers organization and we're thrilled to bring their story to you as they celebrate 10 years in business as A Garden Party. Tami & Ryan Photography captured the images in this post at their anniversary celebration in Elmer, New Jersey. Congratulations on 10 years of hard work, trials endured and sweet success, Dawn & Mary! We recently sat down with Dawn and Mary to get some insight into their flower journey and the root of their success growing A Garden Party. Chapel Designers: Thanks for sitting down with us and sharing your story! Can you take us briefly through your floral journey starting with the creation of A Garden Party and describe how A Garden Party has changed over the years? A Garden Party: Our journey started as most creative careers do - in the daily life of our childhood. We always loved picking flowers for our Mom and annual trips to Longwood Gardens inspired a sense of respect and fascination with Mother Nature. As we got older, our participation in our high school's FFA program helped structure our flower arranging while degrees at Penn State for Mary and SUNY Cobleskill for Dawn solidified our career choices. It has been incredible watching our business evolve - we have so much more confidence in our style now and have had the good fortune of being able to select clients who love flowers as much as we do. In the beginning, you take whatever job you can, and just hope that you can share your creativity and influence. Now, our clients trust us to fly a bit more freely and we have so much pride in the work we create. Chapel Designers: What services does A Garden Party provide? 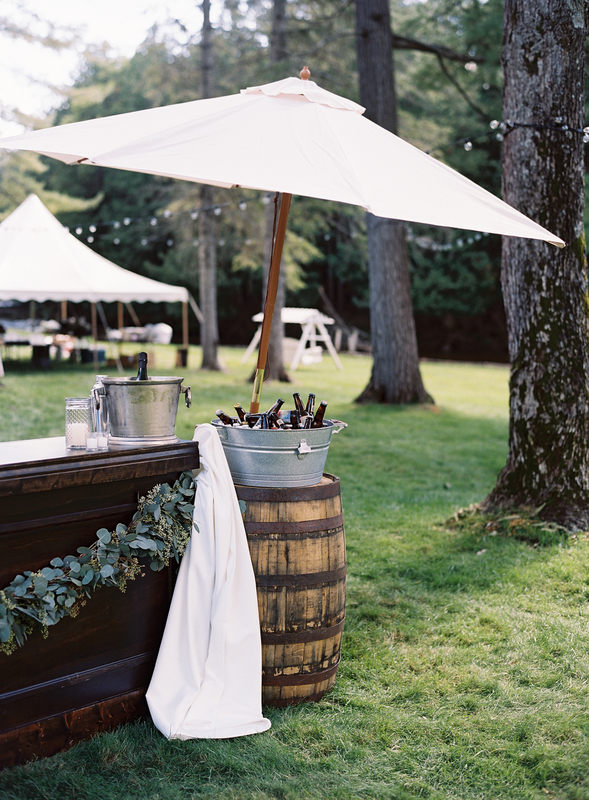 A Garden Party: A Garden Party provides a myriad of services to help with event design and decor. 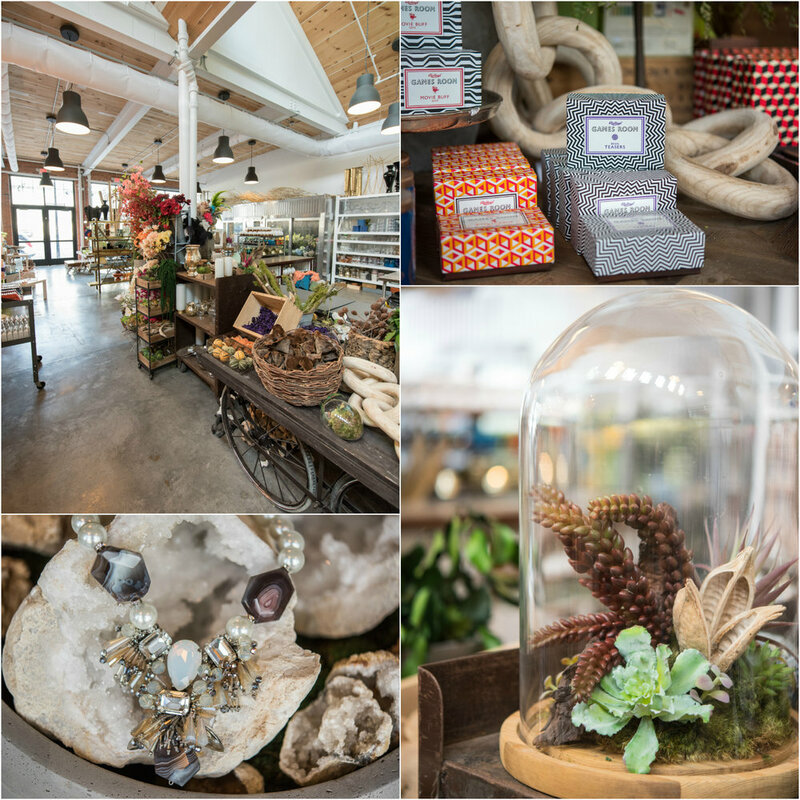 Beyond floral elements such as bouquets and centerpieces, we've escalated our rental inventory to set up lounge areas, pipe and drape, lighting, custom signage and specialty linens. An added event design fee will secure us to help clients with the room layout, linen selections, seating cards, and overseeing any furniture rentals. We also offer DIY Wedding Parties for clients to come with their friends and family members and create their own wedding flowers based on our recommendations and recipes. Chapel Designers: What is the most valuable lesson you've learned over the course of your career? A Garden Party: The most valuable lesson we've learned would be to maintain a sense of gratitude. Every client that books us is trusting us and helping us to achieve our dream. Even if we don't necessarily have the exact same style as some clients, these are the people who are making our careers a possibility and it's important to respect the opportunity they are giving us. Being grateful to clients includes being respectful in our transparency - our proposals lay out exactly where each dollar they pay us is going. We're grateful for the nature of our career - we get to do what we want, what we love to do. We get to prioritize our schedule to make time for our families and maintain control over how we want to run our business. We are also grateful for other vendors! I can't imagine if there weren't amazing photographers who take the time to focus on our details at an event, to submit weddings and send us the images for promotions. High quality wedding planners and venue coordinators are also great relationships for booking clients - these types of recommendations are so important in helping us acquire the types of events that are to the scale we love. Chapel Designers: What have been your biggest challenges along the way and how did you overcome those challenges? A Garden Party: Our biggest challenge is the nature of busy seasons versus slow seasons. It's hard to not panic that we won't get everything done in our busy season, that we won't have enough staff, enough time, or do it fast enough. And then when it's slow, are we overstaffed? Are we spending too much? It's an ebb and flow that we have to work on accepting. Chapel Designers: Tell us about your staff. How many do you employ? What are their responsibilities? How do you find and keep employees? A Garden Party: Besides Mary and Dawn, there are 6 year round staff members. Torey is our head designer - while we are in the office during the week, Torey makes the daily designs, processes flowers, and is our right hand man when we are on the bench designing weddings. She is Dawn's sister-in-law, and an invaluable member of the team. Next, we have a shop manager, Christine, Dawn's best friend. Christine works out the timelines for each event, including set-up, delivery and breakdown. She goes over our supply inventory and keeps updated with what we need to order or replace. She is also in charge of the newer staff members, delegating what needs to be cleaned for events and packing the vehicles. Cristina, Mary's sister-in-law, is our Administrative Assistant. She writes our blog, does our invoices, estimates, updates proposals from brides, office accounting, marketing, web maintenance etc. Cristina also does all of our custom signage and personalized artwork. Ashley is our newest year-round staff member, and she does it all! Her first week with us she laid a brick walkway, and the surprises she's had up her sleeve haven't stopped. She is a hard worker and an important part in wedding set ups, midnight breakdowns and sympathy work designs. Sandy is another part time designer we’ve recently added that has blessed us with her talented fingers. Last but certainly not least, our mother, Melanie Colson, assists the team every Friday in the studio and on the weekends with set ups. She folds a mean napkin and boasts mad bout skills. We have struck gold in that our employees are all associated as family and close friends and that it works so well for us. We have many people who apply to work with us, and I think they glamorize the job and most don't understand how much physical labor and sweat is involved, or the amount of strategy that is used in design. We have trialed applicants and can always guage who clicks or who isn't quite the right fit. For the employees we have now, it was important to see individually what each person offers and taking advantage of their strengths - for example, Cristina may not be a floral designer, but she is still essential to keep us running smoothly. 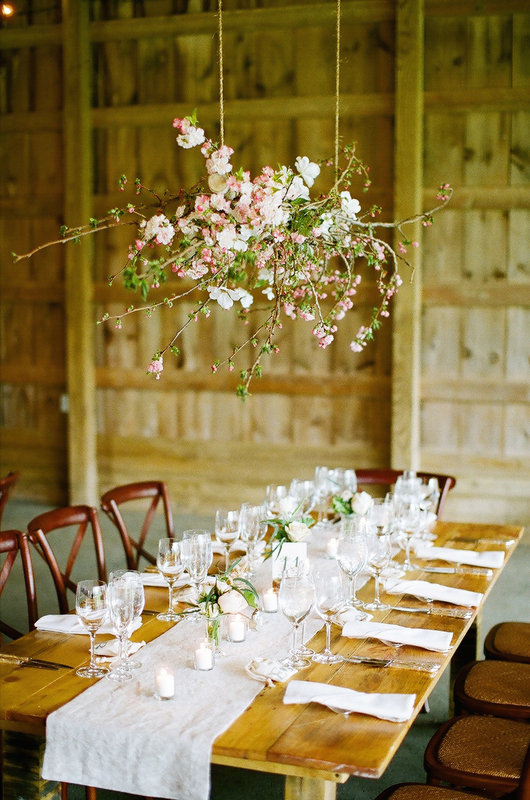 Chapel Designers: What are your dreams for the future of A Garden Party? A Garden Party: Our dreams for the future would be to expand our cutting gardens and our knowledge as growers. This is not only to save money, but for the convenience of always being able to fall back on what we have right in our backyards. We love putting that piece of ourselves into arrangements, and supporting the Slow Flowers movement has been very important to us. We are also working on limiting the types of events we work on. We've set budget minimums for weddings and will no longer book more than 3 events in a day. We've been pickier about our clients, too, and hope that our business will continue to attract those who love flowers as much as we do. We're hoping this means that our future holds beautiful, quality events that have us walking away inspired instead of just accepting whomever gets a deposit in first. Chapel Designers: Tell us about your families. How do you balance being mothers/wives with being entrepreneurs? A Garden Party: Balance is a tricky word. I think it's important to note that nobody can "have it all," or at least not all at once. I think that there will always be give and take. We only schedule meetings two nights a week, one night for Mary to work late and one night for Dawn. During the busy season, we don't get all the quality time that we want with our husbands and children, and it's hard, but it's so that we can be happy. We like the independence, the creativity, and the fact that we are setting good examples as hard-working businesswomen for our children. Our husbands are both big helps in our company as well - they have both been on numerous setups, breakdowns and involved in behind-the-scenes construction for our large-scale designs (including a floral elephant frame and a 10 ft cross!). Our husbands and parents are also a huge part of raising our kids - getting them off the bus or home from school or even as childcare providers. The support from our family means everything. Our slower season means that we take a break from the office work - days are shortened to end at 4pm - and we get to do more things with our children. This is vacation time with our families when we can do way more extracurricular activities together. Chapel Designers: What have you learned about business ownership and/or floral design that you wish you'd known when you started your business? A Garden Party: What we've learned concerning the business ownership aspect would be the importance of knowing and keeping track of every dollar. Setting a budget helps us stay firm in our quotes, because we have mapped out the profit margins that will allow us to pay for the flowers, delivery fees and labor that will go into setting up an event. It may sound basic, but knowing that there is a minimum amount that we have to make to make sure that we can pay our staff and put food on the table gives us a lot more confidence in our charging and prices. Chapel Designers: How has your Chapel Designers membership affected your business experience? Your personal life? A Garden Party: Becoming Chapel Designers was a turning point for our business. The network has shown us that anything we can dream up in our floral design is possible since we have such an incredible resource of fellow florists. It has taken our work to a whole new level of quality. We've also been able to hire fellow Chapel Designers as freelancers with full confidence in their style and capability. On a more personal note, sometimes all you need is to vent, or to hear similar client horror stories to be able to laugh about some ridiculous scenarios instead of crying over petty complaints - or to be given the reality check when we feel wronged but the client was justified. Overall, it's nice that when we feel crazy or burnt out to know that we're not alone. Chapel Designers: Can you share a little about your special 10 Year Anniversary Party? 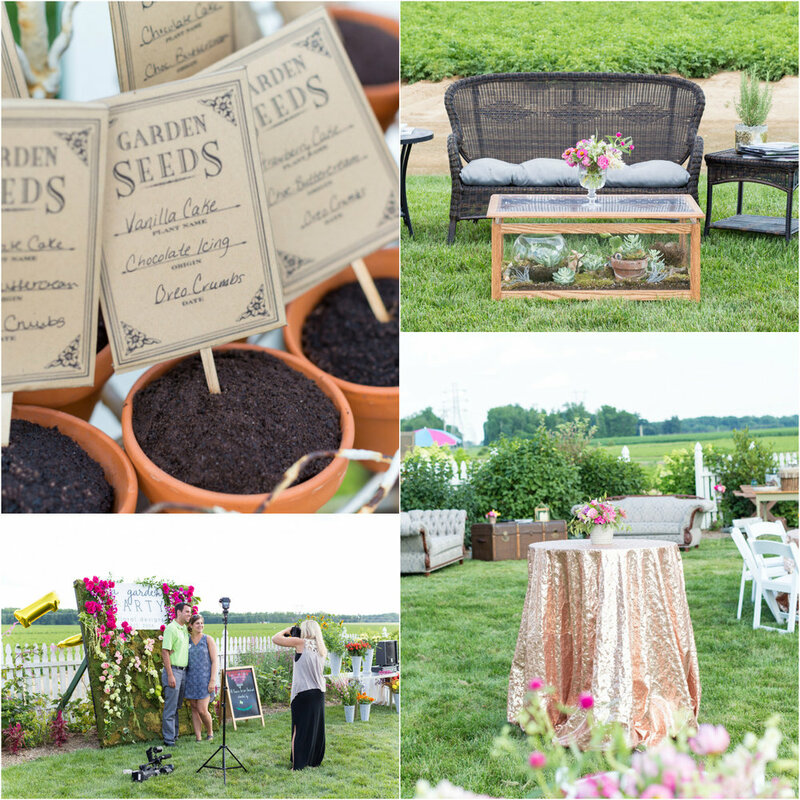 A Garden Party: Our 10 Year Anniversary Party was a huge success. Not necessarily because of the amount of people that came out, but because of the quality of relationships we had with each one. The fact that Holly Chapple came and supported us with fellow Chapel Designers meant so much. There were people from all walks of our 10 year history, all bringing back certain memories and cherished moments of growth. The gestures made by fellow vendors was also SO incredible. Our wedding photographer friends came to take photos, DV Flora donated a ton of product for us to design with, a wedding planner donated her services to keep us organized, Let's Do Linens donated linens to decorate with, and another wedding coordinator sent her Party Host Helpers to serve food and help with set up. It really touched us to see how many people care about us and want to see us succeed. Over the years, we've come to greatly appreciate the significance and impact each designer's career path and personal journey make on the Chapel Designer organization as a whole. Stories of struggles, accomplishments, heartache and growth weave layers of richness into the Chapel Designer experience. Today we want to introduce one of those designers to you and share part of her story. 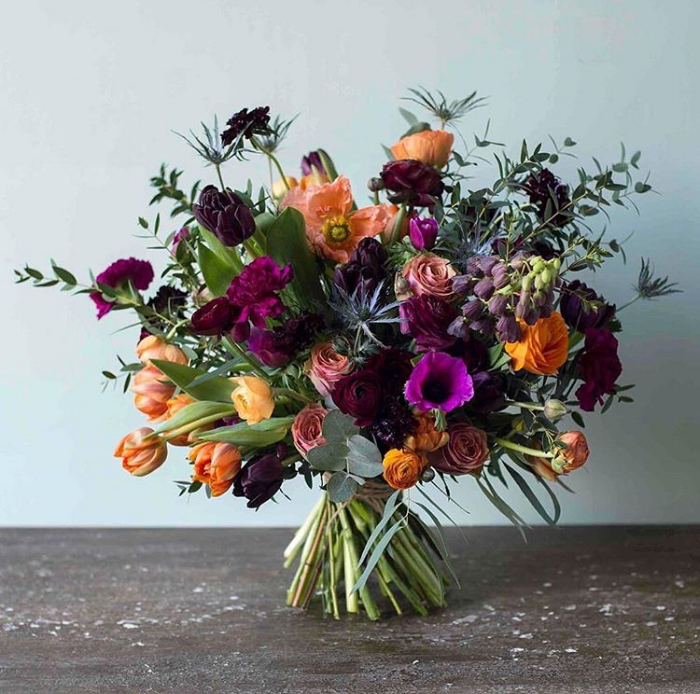 Tasha Frye, owner of L'Arrangement (Denver, Colorado), joined the Chapel Designers in 2015 and has been steadily growing and evolving since we first met her in NYC. Although her growth and artistry are inspiring, it's her kindness that we cherish most. TASHA: "It really was meant to be that I came across a mention for the Chapel Designers NYC 2015 Conference just 2 weeks before the event. I had never heard of Chapel Designers and inadvertently saw a post from another designer's Instagram feed mentioning the upcoming NYC event. Within hours of investigating further through the website and starting the registration process to see if I could read more information about the workshop and group, I exited out of the PayPal link without completing registration by submitting payment and went to bed. The next morning, Evan Chapple had left me a voicemail stating that he had noticed that I had tried to register but that the payment did not finish. He wanted to know if I had experienced any difficulty with the PayPal system and wanted to hold a space open for me if I still wanted to come as there were only 2 spots left. I sat on it for most of the day as I didn't know and got busy with other things. At the persistence of my daughter, I called Evan back. He spent over 20 minutes on the phone with me answering all my questions about Chapel Designers and the benefits of becoming a member. There was only one spot left when I called him back. I told him I wanted the spot and finished up with PayPal as soon as I got off the phone with him. Within minutes, I noticed the "sold out" message was posted on Instagram. I had no idea what to expect in NYC. It was an amazing few days of information and experience that I was grateful for." "However, it wasn't until I returned home and continued on that the true value of being a part of this incredible group has manifested itself to me as I read over the FB posts and messages. The amount of teamwork, sharing, sourcing and encouragement to one another has been amazing to witness and has provided the confidence of being able to tackle new projects and stretch further. I really didn't know where I wanted to take my designing or if I wanted to keep my retail store. I still don't have the answers to everything but who ever does? There are many seasons for all of us in this life and they continue to change and evolve over time. Yet, I have done things I never imagined I would or even knew how to do, because of becoming a Chapel Designer. Recently, after seeing Kristy Rice's Instagram post seeking a floral designer for a France shoot...I actually emailed her with photos of some of my recent work after being personally recommended by my calligrapher friend. I would have never had the confidence before Chapel Designers. I knew I was part of a community that could provide answers if I had questions. Which is exactly where I turned after Kristy Rice contacted me and offered me the opportunity which also includes making a floral capelet for this shoot. Without the network within Chapel Designers, these opportunities and experiences would not have been mine, nor did I ever consider them for me. When Kristy Rice posted on Instagram the team she had assembled for this shoot, I smiled when I saw the photo she used for me. It was a photo she had taken off my Instagram feed that was taken at CDNYC2015 of the bouquet I had made and was photographed by Lauren Carnes. It couldn't have been more fitting symbolically as it is because of that very CDNYC2015 experience, that I get ready to board a plane to Paris on Friday and be part of another great opportunity. Thank you Holly, for creating this incredible forum of friendship, encouragement, education and growth which has opened doors and stretched horizons." To see more of Tasha's work, visit her on Facebook or Instagram. Area Serviced: Waterloo area, Toronto and all parts of Ontario. Available for travel world-wide. How has your membership in the Chapel Designers organization affected your business? Being a Chapel Designer has given me support and resources to move my business to a new level and attract the right clients. It has allowed me to build a network of floral friends who are supportive, encouraging and advocates for my business. At times this is a tough business and it is wonderful to have a supportive group of like minded individuals who understand how demanding and stressful our world can be at times. What do you enjoy most about being a Chapel Designer? I love how supportive and sharing every single Chapel Designer is. If there is ever a doubt as to how to create or price an installation/arrangement or how to deal with any aspects of business, there is always someone available to answer a question or share their past experiences. It is also wonderful to be able to celebrate our craft while encouraging, supporting and assisting my peers. We're honored and grateful to have Tina Riddell serving as our Canada CD Ambassador. Almost 24 years ago, my mother began Holly Heider Chapple Flowers, LTD. She and her four younger sisters grew up in a rural area, with a mother who was passionate about horseback riding and a father who flourished at growing in the fields. Holly had the classic farm life raising—and while some of her sisters connected more with the horsey side of the rural life, my mother was always passionate about the flowers. My grandfather was an amazing farmer; he grew produce and took care of livestock, had several different nurseries and a quaint farmers market in Lucketts where he had a green house, sold baked goods, produce, and fresh eggs. It was when my mother helped him at the Leesburg Flower and Garden Show for the first time making fresh bouquets that she realized her calling. Her first bride was a dear friend of ours in Lucketts, and from there she has grown into one of the most amazing florists in the world (in the biased opinion of her daughter). The Chapple Family, from left to right: Alex Chapple, Mallary Chapple (Alex's wife), Sam Chapple, Holly Chapple, Grace Chapple, Abby Chapple, Hannah Chapple, Eli Chapple, Evan Chapple, and Riley Chapple. In 2010 she had the idea to meet with florists like her, and she now goes around the United States and around the world teaching and sharing with others. My mother is easily one of the most optimistic people I know. She constantly has a smile on her face, devotes all of her time to making her children, her husband, her friends and her brides happier, and constantly innovates ways to change the industry. Somehow my mother is able to manage her Chapple life and her Chapel Designers life, and it absolutely astounds me. While there are only 24 hours in a day, considering how much my mother accomplishes, I could swear there are more. There certainly is not a typical day in the Chapple house, and especially not so since we have bought Hope Flower Farm. It would be impossible for me to summarize just one day of my mother’s life, but I can give you my best shot. We’ll start with weekdays… that might be the approach. My mom usually wakes up between 6 and 6:30 in the morning. She packs the lunches for each of my siblings as they prepare to go to school, and my father and she get them all on the bus. By this point, of course, she’s had her coffee once or twice—if you know my mother, you know she needs her coffee. After getting the kids dressed and ready, she prepares herself for the day. She straps on her signature cowboy boots and gets to work. Weekdays are typically computer days. A lot of people don’t realize that while my mother is a creative spirit, running her business and the Chapel Designers involves a lot of computer time. Throughout the course of a day, she’s on the phone with fellow Chapel Designers, planners, brides, photographers, etc. She’s planning weddings, future CD conferences, photo shoots, and what to grow at Hope. Usually my father spends the days at Hope, tilling, growing, and preparing our farm for the summer. During an average weekday, my mother is on the phone for a total of several hours. She plans out everything she does—our family calendar is full up to a year and a half in advance. She stays busy working on contracts, gathering images from photographers, working on inventory, ordering flowers for the next wedding or the next CD conference, teaching workshops and finding new friends and vendors all over the world. My siblings and I always joke that we can’t go anywhere without my mother knowing someone—that’s because my mother spends a lot of her time keeping up with her friends, her brides, her fellow vendors, and also meeting new ones. While weekdays are a lot of correspondence and computer work, weekends are very, very different. Depending on the magnitude of the event, designing can start on Wednesdays, Thursdays, or Fridays. Designers begin by processing the flowers, and my mother has pre-made “recipes” for how each design should go. The one exception to the recipe is that if my mother doesn’t love the way a design looks, she will find something else to make it pop (this is the beauty of having a flower farm). Designs are being created, schedules are being mapped for deliveries, and cargo vans are filled with gas. While we have some weekends where we have one wedding, and some weekends where we have seven, I would say we average three or four a week. My mother makes each bridal bouquet with that beautiful “Hollyish” flair, and we start packing up. The designers, my parents, and my siblings and I pack things into the vans as we get ready for a big wedding day. 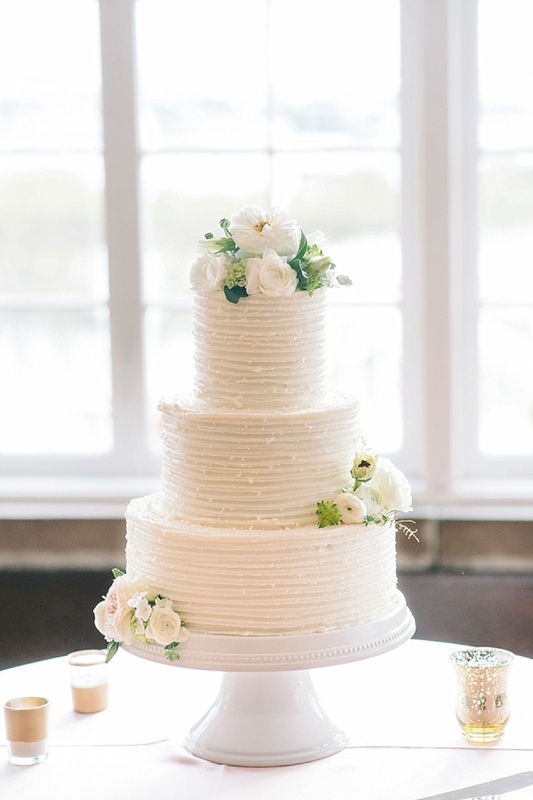 Whether we’re in Maryland, Virginia, or DC, the weddings can take several hours to prepare. Different things like cake flowers, arbors, or chuppahs take different amounts of time to create on-site. Regardless of the amount of time required, we always strive for a phenomenal finished product. The Chapple Family hens and hen house. As I have said, there is no typical day for my mother. Any free time she has is spent with her children and my father. We spend days playing at Hope, going hiking, or playing board games. Some days she prepares for Chapel Designer conferences, other times she is delivering weddings. Some days she spends locked onto her computer, other times she is running around creating the perfect photo shoot. The most important thing about a typical day with my mother is that it is spent making someone else’s day better. She and my father work every day to make sure their children, their brides, and their students are happy and that they have something to show for their incredibly hard work. Six years ago, the Chapel Designers organization began. 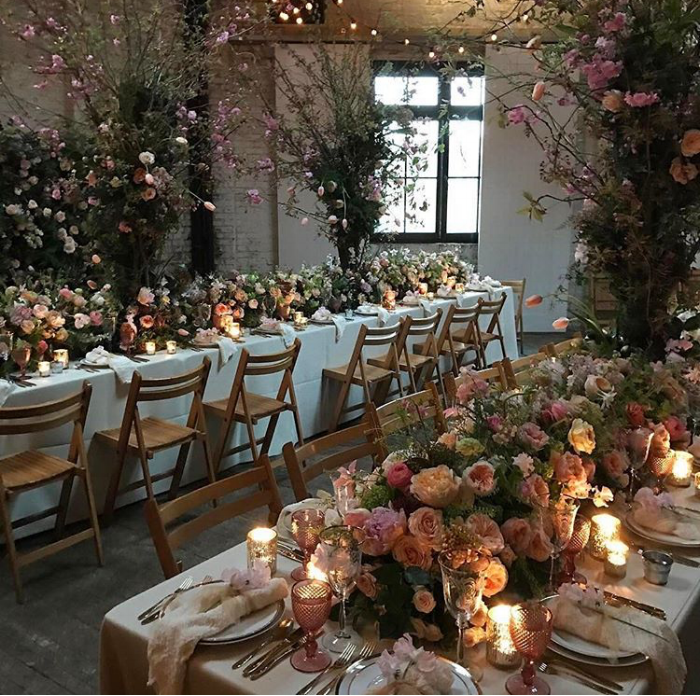 A simple idea that struck the founder’s mind, a meet-up of florists and wedding professionals in New York City, has grown and become an international conference and hub of floral professionals worldwide. 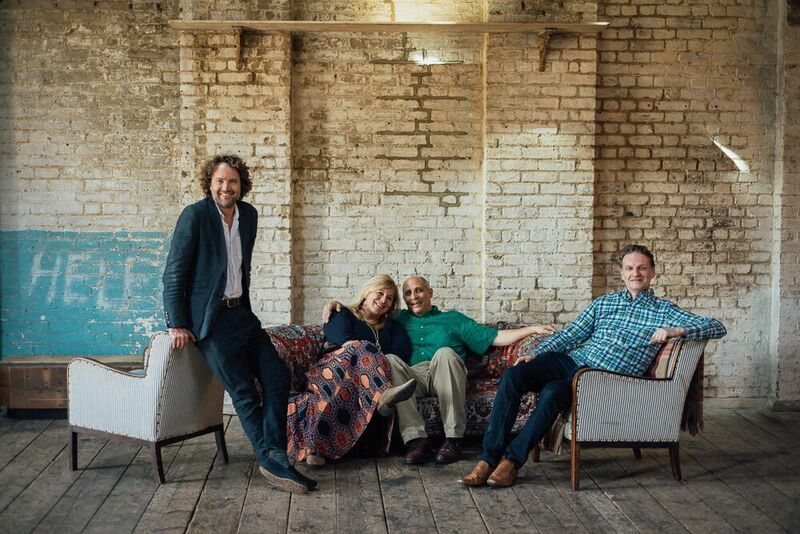 As Holly and Evan Chapple gear up to fly to London for the Chapel Designers London 2016 Conference, we have been looking back on where we have been, and forward at where we are headed. While this conference started in New York, we have visited a myriad of different places. From California to Canada, Australia to our new farm in Waterford, Virginia, Chapel Designers meet all over to grow and learn and teach one another. This year, Holly and Evan are going to London for the second time, and it is because of that event that we have been privileged to meet designers from all over the United Kingdom. As we spread and as we flourish, it is an honor to look back on reviews of experiences from our Chapel Designers as they first began. Here are a couple we received after the first CD London Conference last year. "Warning ⚠: This conference can seriously affect your business. At first I wondered if I could afford to attend The Chapel Designers conference 2015, now 8 months later the investment has dramatically taken my business to another level. 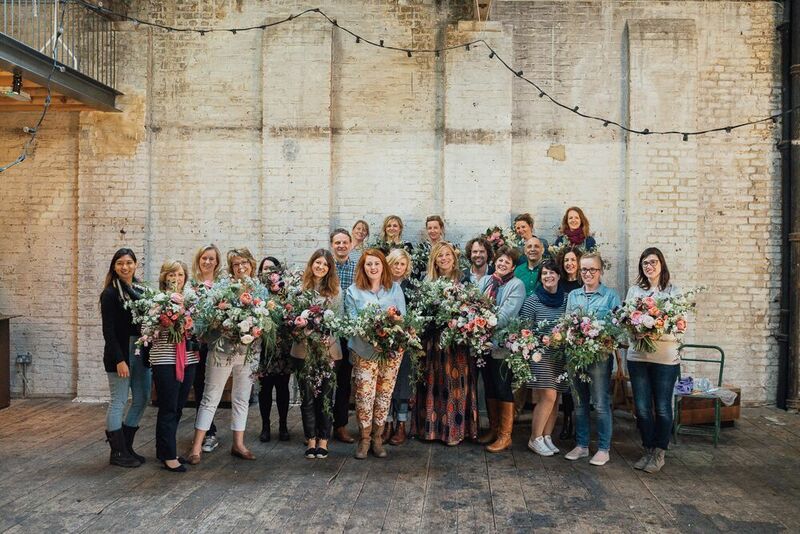 The combination of a room full of passionate flower folk, expert demonstrators, the heart of Holly Chapple and the abundance of yummy blooms made the atmosphere electric." - Jil Peterson, The Stables Flower Co.
"It’s difficult to articulate what truly goes on at a Chapel Designers conference. I am not given to over-blown statements of emotion or sentimentality but the experience of CDLDN2015 blew my mind. Absolutely. I went in search of inspiration and guidance and walked away days later with something far, far greater. I have always known the kind of designer I wanted to be and the kind of aesthetic I wanted to uphold in my work. I wasn’t stuck to find my place and I wasn’t looking for answers. Yet at Chapel Designers, you forget what you think you know. Instead you open yourself up to one of the most incredible learning experiences of your life. You are surrounded by designers you do not know; you’ve never met them before, but you somehow know that they are YOUR people. It’s the most inclusive, engaging, inspirational and wonderful experience and you throw yourself in wholeheartedly and you gain huge returns. The support and understanding is fundamental to the whole experience and that does not end with the conference. In fact after the conference the CD forum means you get to meet your international CD sisters and brothers and the rules of openness and honestly there are the same. Chapel Designers are support, growth, honesty and hope and in this environment, creativity cannot help but run wild and from this, you and your business will reap huge rewards both in terms of creative and financial fulfillment." 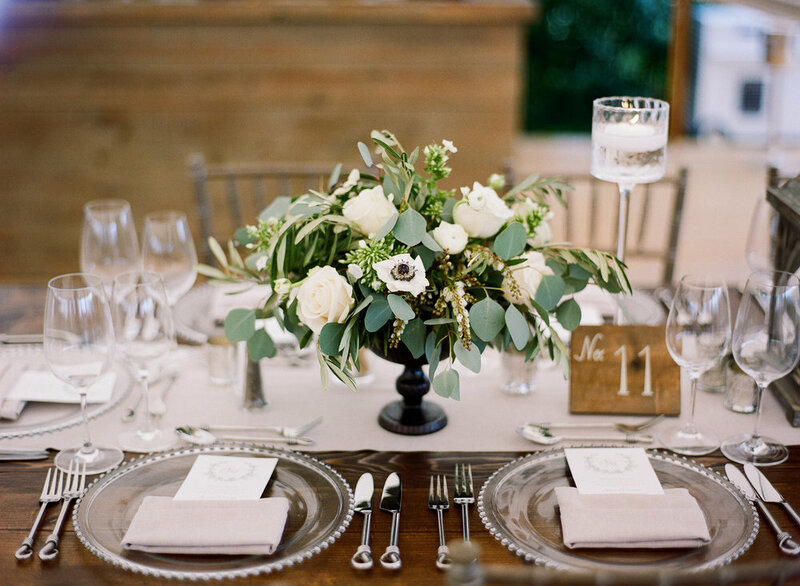 Thanks to Modern Vintage Weddings for the amazing photos! Pantone recently chose two colors for the first time as the Color of the Year for 2016. Rose Quartz and Serenity were chosen for the balance created between the warmer tone of Rose Quartz and the cooler tone of Serenity. Rose Quartz has been prevalent in the work of Chapel Designers during 2015 and we thought it might be fun to take a look back at how it's been incorporated into our work this year. Enjoy! How has your membership in the Chapel Designers organization affected your business? It has helped me grow as a designer through the hands-on courses and the online forum where we can share tips & tricks of the trade with other Chapel Designers. As a company we have been able to expand and take on larger weddings because of the additional skills learned. What do you enjoy most about being a Chapel Designer? 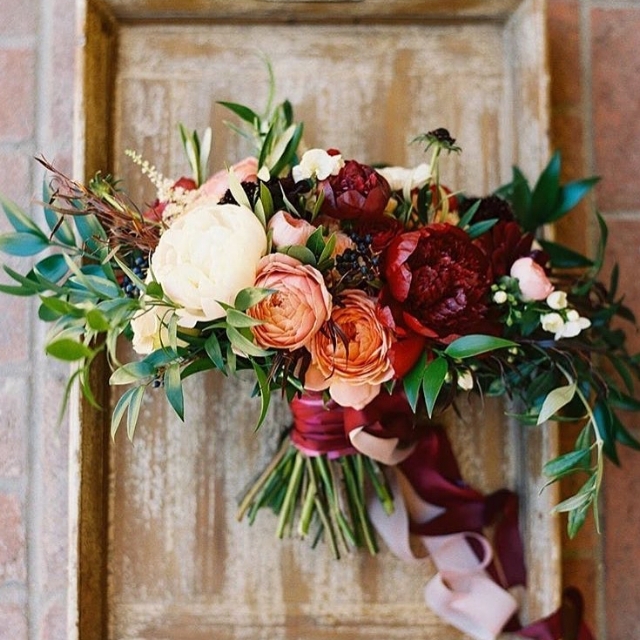 The ability to share openly with other floral designers and to learn from each other. I love being a part of the Chapel Designers family. What are your hopes and dreams for the future of your business? To keep being challenged with larger and more elaborate designs for weddings and events that really showcase our creativity and design. ...toward The Moment. The moment a bride sees her flowers for the first time. The moment that overrides the exhaustion, reminds us of the unshakable love we have for our work and leaves us anticipating the next wedding.